This 1957 Chevrolet Cameo is one of 2,224 made in 1957. It’s been restored and upgraded with an electric fuel pump, electronic ignition, chrome bed strips with an all-new interior. 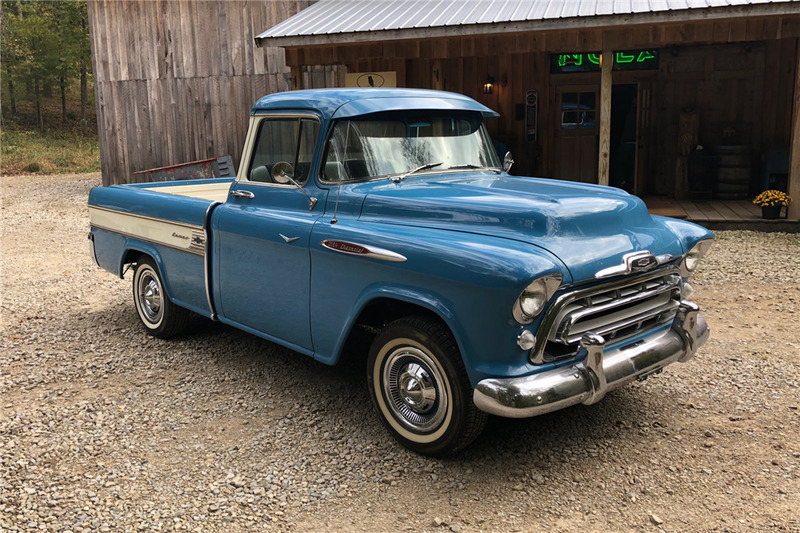 This pickup is powered by a 283ci V8 engine mated to a 4-speed manual transmission, and is finished in blue and white Cameo paint with chrome accents.